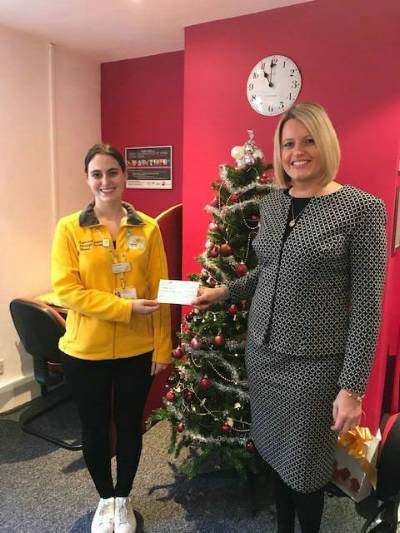 The team at local recruitment company Plum Personnel based in Solihull town centre nominated the local charity and instead of buying greeting cards and postage at Christmas, the Directors Julie Whitehouse and Susie Ankrett chose to donate to the local charity. "As a local company we are committed to supporting the local communities. We have raised and donated money for other local charities over the past 17-years and feel privileged to be able to support Marie Curie.” Lindsey added.